The 15th annual Wooster Arts Jazz Fest will be held on Saturday, September 15th in historic downtown Wooster from 11:00am to 6:00pm. The all-day event will include live jazz on several downtown stages and art vendors of every variety. Experience jazz of all styles and a New Orleans Dixie Land Parade led by The River City Jazz Band at 2:30pm. The kids can participate in the children’s hands-on art station and the whole family will enjoy a chalk art gallery, balloon twisting, and juggling stilt walkers. Grab a bite at the Jazz Café on the square or the many downtown Wooster restaurants. Join us for a new kind of Wooster Rotary social on Monday, June 20, 2016, between 5PM and 7PM at Muddy's in downtown Wooster. This casual event is a combined introduction for anyone interested in joining the Wooster Rotary Club and a welcome/orientation for our newer members. 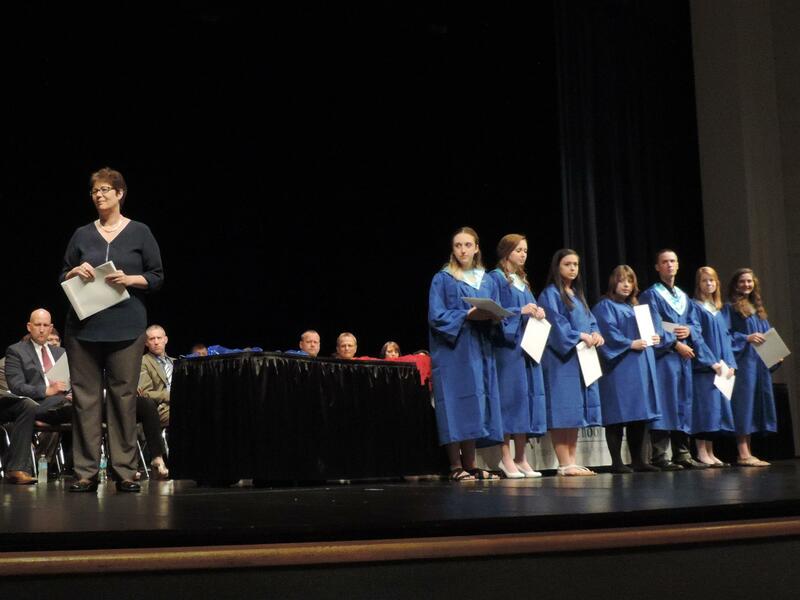 Scholarships were presented by Rotary Club of Wooster President Cathy McConnell at the Wooster High School annual awards assembly on June 2, 2016. The Wooster Rotary Club started a new tradition. At the Monday, January 30th meeting 137 members were honored for over 2700 years of service.